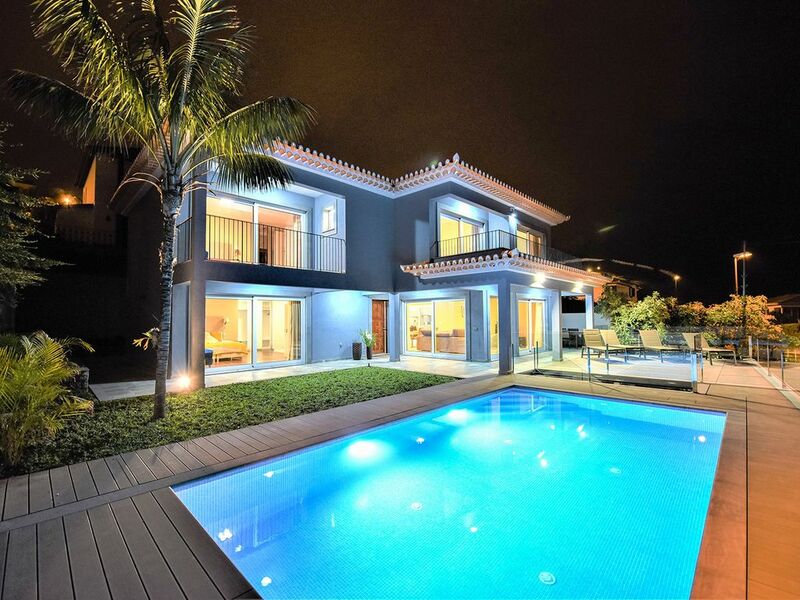 The villa in Funchal has 5 bedrooms and has capacity for 10 people. The villa is cozy, and is 411 m². The house is situated in a family-friendly neighborhood.The accommodation is equipped with the following items: barbecue, internet (Wi-Fi), hair dryer, balcony, air-conditioned, private swimming pool, private heated swimming pool, garage in the same building, TV.In the kitchen, refrigerator, microwave, oven, washing machine, dryer, dishwasher, dishes/cutlery, kitchen utensils, coffee machine, toaster and kettle are provided. A lot to do in area, coffee shop and dinner restaurant. Fantastic view of the cruise port. You get sunrise and sunsets, what more can you ask for. The villa is in a beautiful position overlooking the ocean and Funchal. Everything in the villa is pristine, fabulous bedrooms, shower rooms and kitchen. A week was not enough time to make the most of the villa & see all the sights so we will definitely be coming back.